Caring for someone with dementia means devotedly and patiently doing a hundred little things each day. Few care providers are trained to meet the challenges of dementia, however. 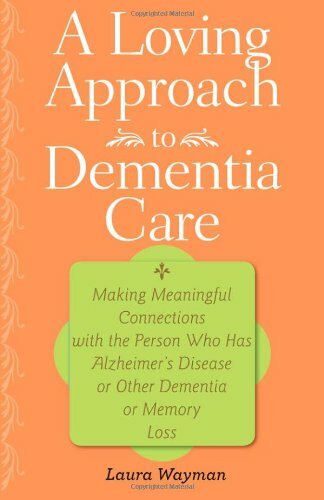 They need the guidance this book provides to overcome caregiving obstacles and cultivate more meaningful relationships with loved ones who have dementia and memory loss. Laura Wayman’s program of care emphasizes communication, affirmative response, and empowermentâ€”transforming the caregiving process from a burden into a fulfilling journey. 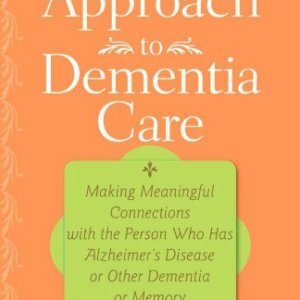 Her true stories of caregiving illustrate the principles of this loving approach, giving readers essential tools for connecting with people who have dementia. In addition to offering valuable lessons on how to provide the best possible care, Wayman urges caregivers not to neglect themselves: take care of yourself so you will have physical and mental energy to share with your loved one. The practical tips included here will help you balance your own needs with those of your loved one, creating a more positive experience for you both. A Loving Approach to Dementia Care is a special guide, filled with respect, calmness, creativityâ€”and love.